So, International Ear and Hearing Care Day is round the corner. We are back with yet another offer and the biggest discount offer of all times. Yes, you read it right. While the world observes 3rd March, 2013 as 'International Ear and Hearing Care day', we take this opportunity to promote awareness and prevent hearing loss by rolling out this fantastic offer on hearing aids. 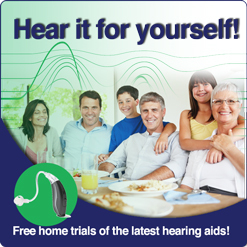 You can avail a hefty discount on of $500 on Chronos Series 9 or equivalent Hearing Aid plus a Free Hearing Scan. So what are you waiting for. If you or someone in your proximity is suffering from hearing loss, refer them to us and make your contribution to hearing loss treatment.